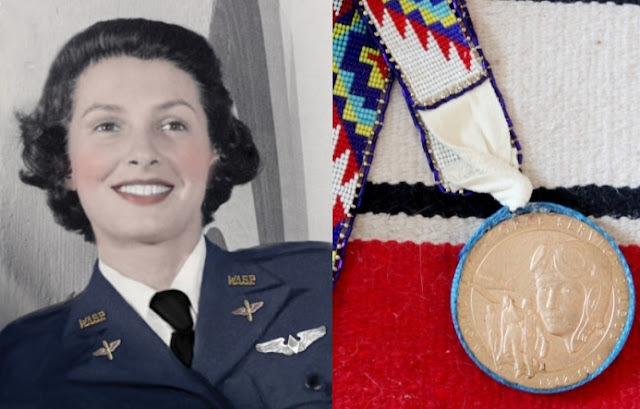 Ola Mildred Rexroat (born August 29, 1917) is the only Native American woman to serve in the Women Airforce Service Pilots (WASP). She is an Oglala Sioux from the Pine Ridge Indian Reservation. She earned a bachelor's degree in art from the University of New Mexico in 1939. 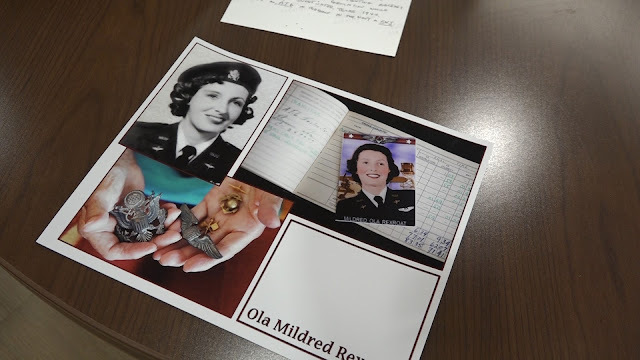 Ola Mildred Rexroat was looking for a way to do her part in the war effort in the 1940s. 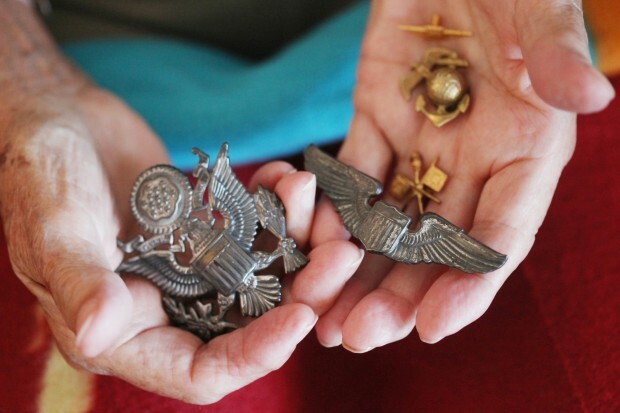 Being a riveter seemed too dangerous, she said, so she opted for a different path: being a military pilot. "I just did what I was expected to do and tried to do it the best way I could," Rexroat said. "If I did accomplish anything or add anything to the war effort, I am happy now, and I was happy at the time." Rexroat is one of only 275 surviving WASPs of the original 1,074. 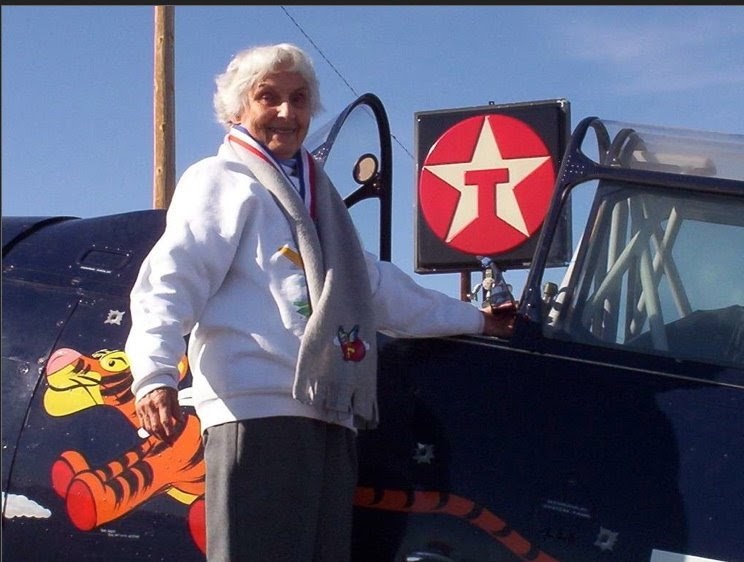 She is the last in South Dakota, and the Oglala Lakota is the only female Native American to serve in the WASPs. For years, the WASPs were not recognized as veterans. Not until 1977, when President Jimmy Carter signed a bill making them a part of the Air Force, did they receive right to be buried with a flag, buried in a military cemetery and gain access to U.S. Department of Veterans Affairs hospitals. Women make up about 11 percent of the force in Afghanistan and Iraq, according to Deb Eiring, spokeswoman for the VA Black Hills Health Care System. "They can have some of the exact same medical conditions that men have; there are not gender-specific things. Simply being a warrior, male or female, has its own challenges," Eiring said. Inducted into the South Dakota Hall of Fame in 2007, her plaque honors her nearly ten year career as an Air Force Reserve Captain at Kirkland Air Force Base in New Mexico. “I’m glad I did it, glad I had the chance to do it. If I had to do it all over again, I’d do the same thing." Recently Rexroat was honored by a National Native Women's Group. Traditional Lakota singers and guests gathered to acknowledge her service. Georgia Pedro, President of the North American Indian Women's Association (NAIWA) described Rexorat as a "loving, caring person with a wonderful sense of humor" and that as a member of the WASP, she carried on the Native American tradition of women warriors. Responses to "Ola Mildred Rexroat: The only Native American woman to serve in the Women Airforce Service Pilots "